Special thanks to Cricut for the machine and products. All thoughts and opinions are our own. This post may also include affiliate links. 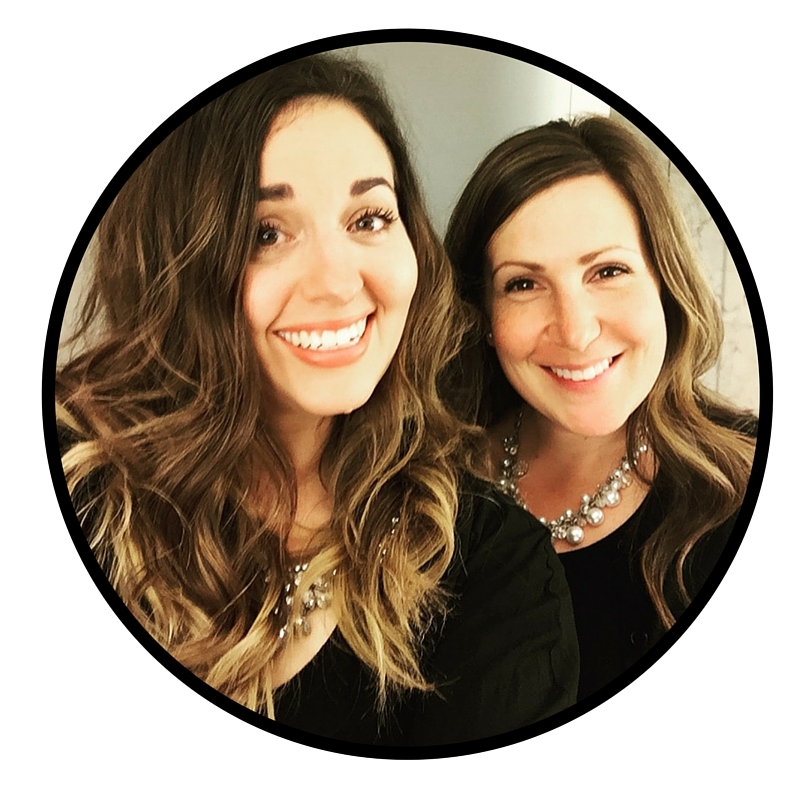 Please read our disclosure and thanks for your support! Earlier this month, we posted the details of our Elegant wedding. There was one more fun detail about the event that we wanted to share: the favors!! We knew with our simple and natural theme that we wanted to keep our favor in line with that. 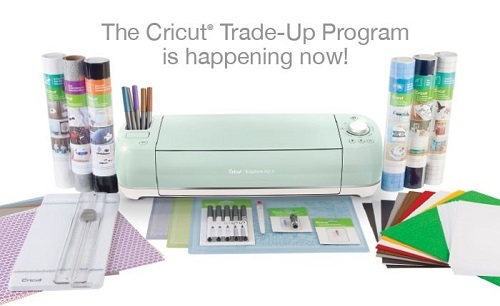 Thankfully, we were able to use our handy, dandy Cricut machine and some of their amazing products! I’m sure most people are aware that Cricut machines can cut paper and vinyl but they can cut SO much more! We were excited to use something different to create a unique and fun hand-out for each guest. After brainstorming to figure out the favor treat, the bridal party decided that personalized M&M’s in the wedding colors would be perfect. We knew after deciding that, our favor container had to showcase these cute candies. Amazon to the rescue! 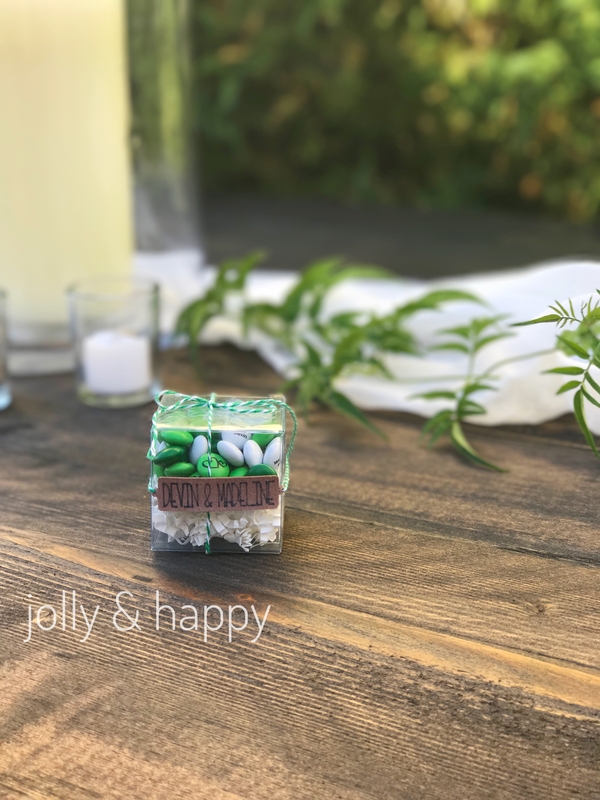 We found these adorable clear favor boxes that fit the bill. Our Cricut machine is our go to when creating favors. You can cut so many out within a short amount of time! We knew the favor tag needed to be special and unique as well. Cricut’s Faux Leather gave a very custom look to the little boxes. Yes!! You can cut leather with your Cricut! We used the backside of the product, giving it a suede look which also allowed us to use the writing feature to personalize the tags. 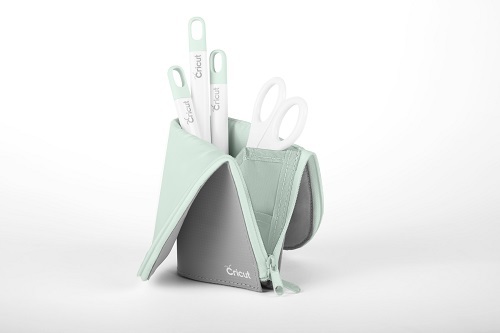 We adore the Cricut Design Space App! Our phones are our “command central” and having the app on there, we know we can use our Cricut machine anywhere! Here, we typed in “tag” and were given so many cute options to choose from. We fell in love with the orange one. After purchasing our tag design, we adjusted it to the perfect size and added our bride and groom’s names using the “Kyden” font. I always like to do a test run before my main cut. You can see my design ready to go. And if you are using the writing feature, you’ll get a reminder to place your pen. Look how pretty this product is!! You can’t go wrong using either side! The suede side was perfect for what we needed but I can see so many ways to use the pebbled leather side too! Cricut has so many amazing and cool products to work with! This Faux Leather was so fun to use for our favor tags. Look at all of these awesome products to choose from! 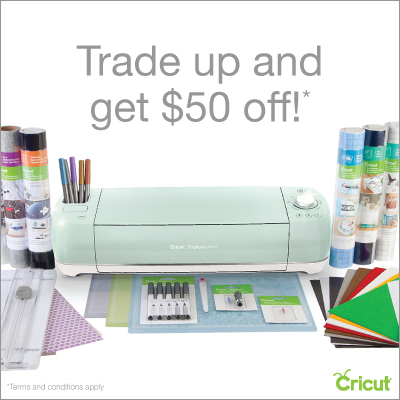 Cricut machines can cut pretty much anything from poster board to cardstock to washi paper! Think of the possibilities!! If you were attending a wedding, wouldn’t you want to go home with one of these treats? !